Once the rinses are finished correctly, if you rewarm it again, it will be removed to all diseases. 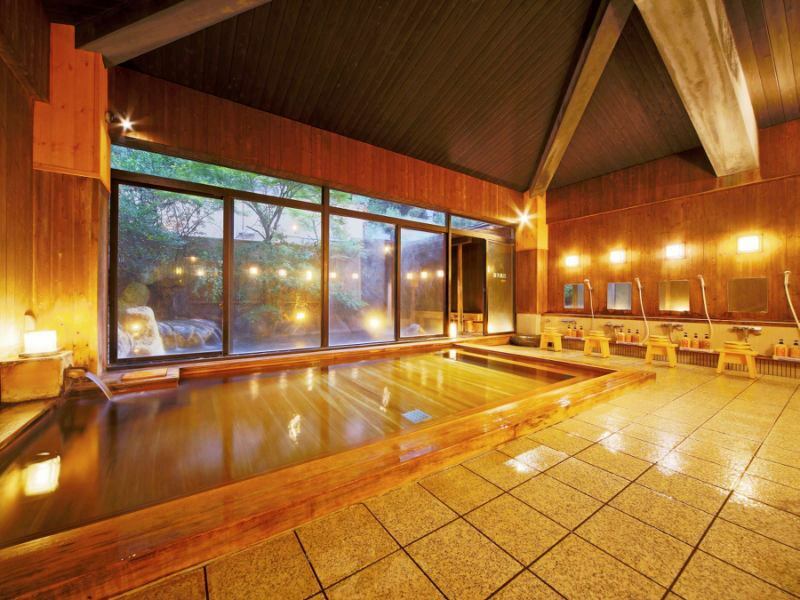 Why do not you take time to relax yourself in the oldest hot spring in Japan, praised as God's hot water in "Izumo no kuni Fudoki"? Please enjoy the moment of bliss, so that both skin and soul are polished. 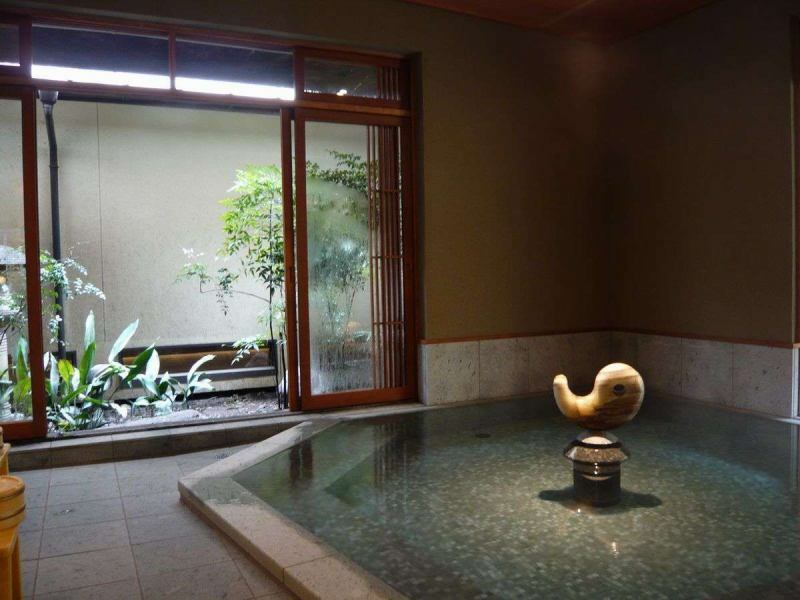 【Yubashiri-no-yu】Bathroom leading to the outdoor bath "Tsukikage".A slightly deep bath will bathe up to the shoulders if bent. An open-air bath where the hot spring springs springing up falls as a small waterfall. While listening to the hot water at the moonlight in the evening, please feel the tiredness by taking the energy of the earth while feeling the sparkle of the tree leakage with the skin in the morning. 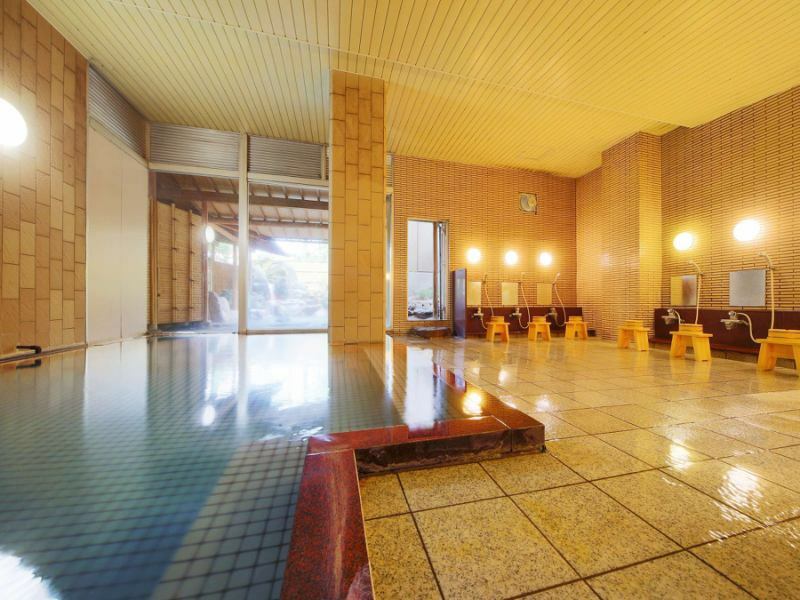 Large Bath "Yu Bashiri no Yu"·Open-air Bath "Tsukikage"
【Kaede no yu】Princess cypress princess, Lady, Lady 's big public bath.I feel luxurious by bathing. Please have a relaxing bathing in the legendary hot springs that soft skin, it will become beautiful once it is bathed in the hot water. Please extend the wings of your heart while being healed by the wind that shakes the trees in the garden surrounding the outdoor bath and the smell of the bathing suit. 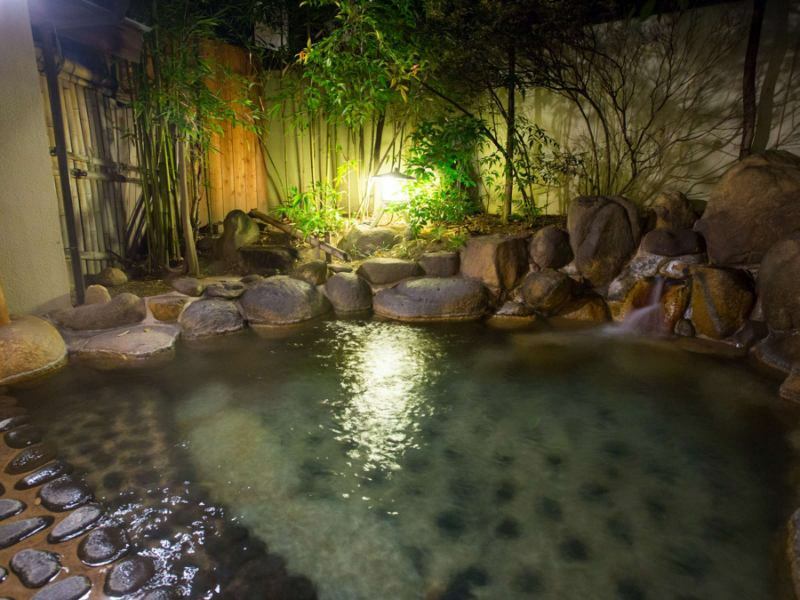 Large Bath "Kaede no Yu"·Open-air Bath "Chikufu"
【Exchange bathhouse】Cool down with a bit of wind as the body warms up.Please enjoy hot springs as many times as you like. On March 20, Heisei (time period) 28, time change bath was renewed. ※Guests check in at the front desk in order of arrival on a first-come-first-served basis. Please acknowledge that it may not be available depending on the situation on the day. ※You can not use GW and the Bon Festival period.Please note. Efficacy of Tamatsukuri Onsen correctly epithet end if Susuge "one Tabi, Nozokoru to thousands of disease悉if Yokusure again.There is no point in getting experiences from ancient times until now "(Once you take a bath, your appearance will quickly become beautiful and once you take a shower it will cure any sickness.It has never been effective since long ago) and it is introduced in "Izumo no kuni Fudoki". Even now in Heisei (time period), high-temperature hot water is abundantly gathered from the source, and the quality of soft weak alkaline spring is reputed as "beautiful hot water". It is a popular plan that you can enjoy kaiseki cuisine for lunch because it is a room in the room.Konya the relaxingly hot springs and cuisine of the Konya.